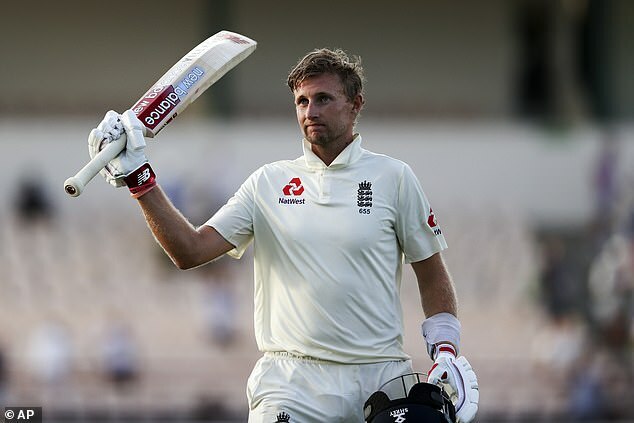 England cricket captain Joe Root slapped down a West Indian rival after alleged homophobic abuse on the pitch and told him: ‘There is nothing wrong with being gay’. 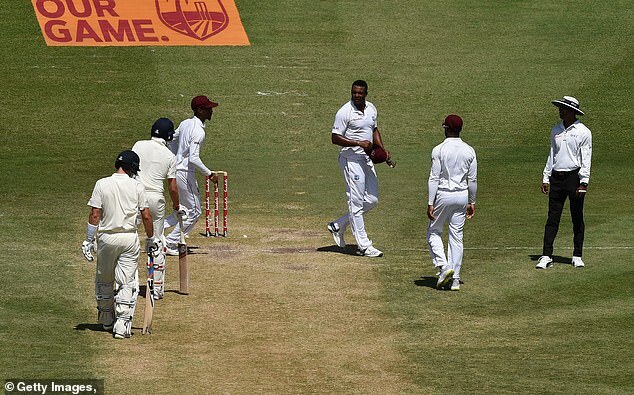 The star batsman was involved in an on-pitch row with fast bowler Shannon Gabriel who was warned by the match umpires over his ‘abusive’ language during the third test in Saint Lucia. It is not clear what Gabriel said but Root, who married his long-term girlfriend Carrie Cotterell in December, shot back: ‘Don’t use that as an insult – there is nothing wrong with being gay’. 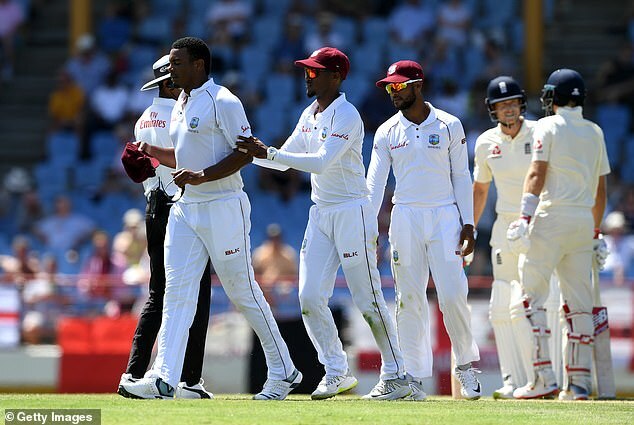 Tensions boiled over in the final Test of the Wisden Trophy but umpires Rod Tucker and Kumar Dharmasena did not lay a charge against West Indies fast bowler Gabriel, believing their on-field intervention was sufficient. 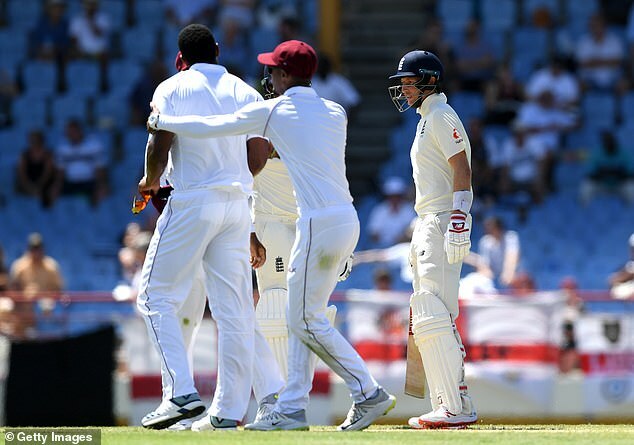 Root, who scored an unbeaten 111, said after the day’s play that Gabriel said something he ‘might regret’ – but said he should not be punished further. The England captain said: ‘It’s Test cricket, he’s an emotional guy trying to do everything he can to win a Test match. Sometimes people say things on the field they might regret, but they should stay on the field’. 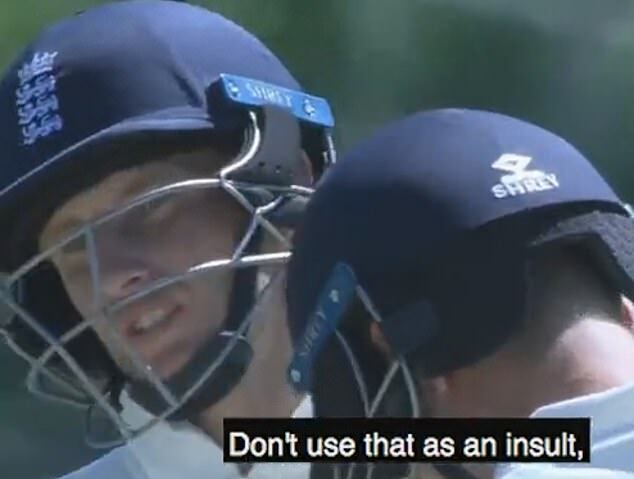 Footage from Sky Sports emerged on social media that appeared to suggest England captain Root said ‘there’s nothing wrong with being gay’ in reply to Gabriel in the 44th over of the second innings. The England captain refused to confirm what had provoked his comments while match referee Jeff Crowe was satisfied no homophobic language had been detected. ‘He’s a good guy who plays hard cricket and is proud to be in the position he is.